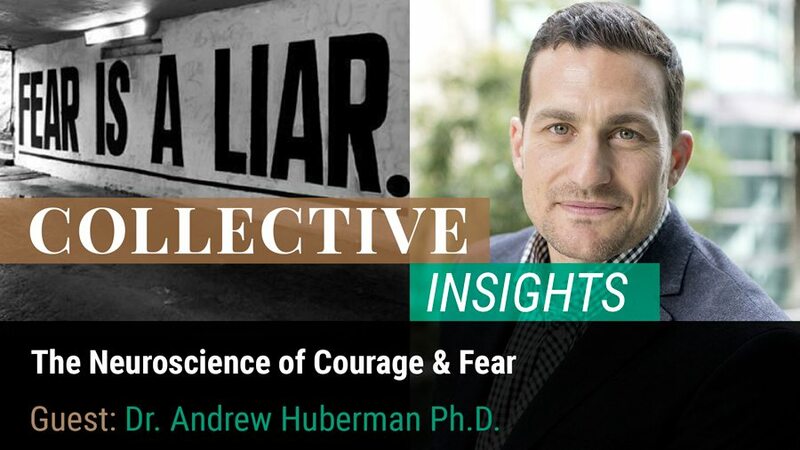 Dr. Andrew Huberman joins Daniel Schmachtenberger to discuss the neuroscience behind courage and fear, what is really going on inside your brain, and what tools and techniques you can use to control and respond to fear. Dr. Andrew Huberman Ph.D. is a neuroscientist and Professor in the Department of Neurobiology at the Stanford University School of Medicine and runs Huberman Labs. He has made numerous important contributions to the fields of brain development, brain plasticity, and neural regeneration and repair. 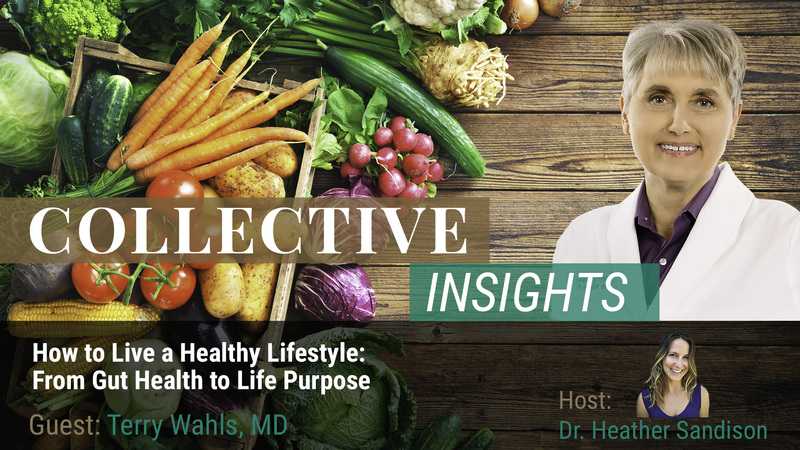 Daniel: Welcome everyone to the Neurohacker collective podcast, Collective Insights. My name is Daniel, I'm with research and development here at Neurohacker Collective and we are really excited to have [00:00:30] Dr Andrew Huberman with us today. 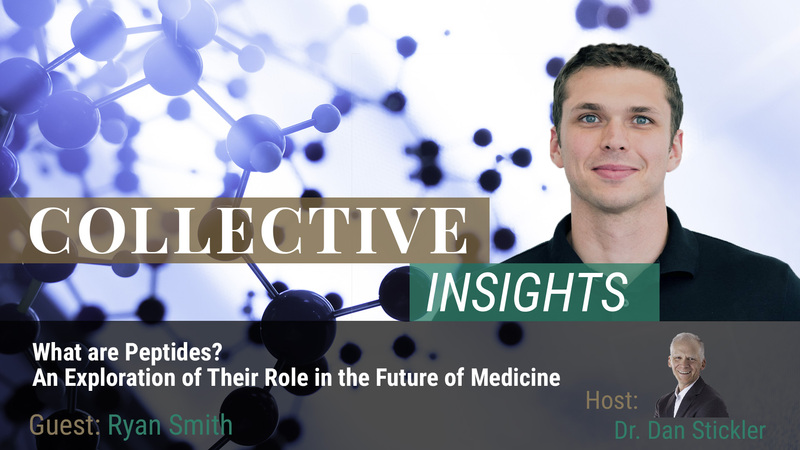 Andrew is a professor of neuroscience, neurobiology at Stanford School of Medicine, which is one of the eminent Neuroscience centers in the world, cutting edge work in understanding the brain. When he and I first met, he was at UCSD in the Saulk institute and transferred a couple years ago up to Stanford. He also runs the Huberman labs, which is working on the neuroscience of vision [00:01:00] and he has a very interesting kind of history with studying the neuroscience of vision and then sensory processing and then as a result of that, fear has really helped develop the neurobiology lab at Stanford and the tech there and they have some really cutting edge work they're doing with VR and a number of fun things. And so, we're going to kind of explore today some personal development related insights [00:01:30] that come from formal academic neuroscience and we're gonna invite Andrew to be a little bit free to be more speculative regarding what an animal trail or an early human trial might actually say down the road and where these insights are likely going. Then he probably gets to be in formal paper publication and Andrew, thank you for being here. Andrew Huberman: Thank you Daniel, I'm delighted to be here. First of all I have [00:02:00] tremendous respect for what you guys are doing at the Neurohacker collective and it's wonderful to see how much things have progressed in the last couple of years and I'm sure the rest is still to come. I enjoyed a lot of our conversations about science and technology and looking forward to more. Daniel: One fun thing about Andrew is that in addition to being an academic researcher of [00:02:30] the brain from a third person science perspective, he also has a long history with extreme sports, with bodybuilding, with various athletics, and with nutrition and biochemistry and bio hacking that goes along with that and some fun things that he'll share here and personal development, so he's got a first person experience and third person knowledge of the field so we have a fun bit of areas that we can cover. [00:03:00] I would love if we could just start with talk about fear a little bit and the work that you guys have done in fear and specifically the fight, flight, freeze responses, the differences in them, courage, a little bit about what you've learned there because it is one of the deepest experiences for all mammals obviously and for humans and it cripples people the most in the presence of fear there are some people that will be crippled and others that won't be crippled by it and there are some insights that I think you guys [00:03:30] are at the very cutting edge of learning regarding this, which is critical for everyone, so talk to us about it. Right, so my laboratory has two wings to it, one wing of the laboratory [00:04:30] meaning, some people and some physical space are devoted to understanding how to repair the nervous system after injury, and that's something I've been mainly focused on the visual systems to prevent and cure blinding disease like glaucoma and that's still a very active area of pursuit for us. The other half of the lab is working on things like why are certain visual stimuli, why are certain visual events scary, why do they suddenly trigger a limbic response, if you will that puts people into a state of anxiety? [00:05:00] And we're also studying what I think is a really interesting topic, is the new area for us, what we're calling visual empathy or primal empathy, which is the sensation of an emotion by virtue of what you see somebody else experiencing visually. So just briefly, we got into fear, my interest in fear, primary because we're such visual animals, more than 40% of the human brain is devoted to vision, we really trade it out olfaction and chemical sensing of things in the environment through our noses, [00:05:30] for our vision, some people are also dependent on their auditory systems a lot but we're so visually driven. So most of what I'll talk about is visual fear. I've been asked what is fear? There aren't great operational definitions for a lot of these things but to me, fear is a native sensation in the body for which you don't really know what to do in order to alleviate it. If I take a sip of this drink, which is tea, and then you say, "Oh my god, you didn't take a sip of that drink did you?" And I say, "Why? [00:06:00] Why? Why not? What's wrong with it?" You say, "That's poison, you've got 15 minutes to get to the hospital." I'm gonna be scared, I'm gonna be anxious, especially if it's you telling me that cause you're not somebody to play games like that. And then we of course, writers have described fear in a couple different ways. Interestingly, Stephen King I think was the one who said, "There's dread, the thing that you're worried about happening. There terror, there's like some as it happens. And then there's horror, [00:06:30] which is after the event, the replay in your mind that was horrible, it was horrifying." That's some semantics that relates to language and it's probably different across cultures but I like that because they all encapsulate something very important, which is that all fear involves a negative arousal. An arousal that you wouldn't want to have. And so, my laboratory a couple of years, we decided and when I say we it's really a spectacular graduate student in the neuroscience program, [00:07:00] then at UCSD, who is now in the neuroscience program at Stanford, Lindsay Soley started using the typical animal model for us is mice, but we also now work in humans and we have clinical trials in humans run through my lab. What Lindsay did was a really simple experiment, where she took a mouse, put it in a little box and then showed it an overhead expanding black disc, which to the mouse, we think appears something like a predator coming to eat it. And when you do that to a mouse, [00:07:30] it has one of two responses. It either freezes, just absolutely stone cold freezes, or it runs and hides in a shelter if it can. And that itself is interesting, because we talk about fight or flight, but actually a fight response to something scare is very rare in an animal. Typically an animal that's scared will freeze or run. So I think we need to start rethink even the most basic kind of cultural understanding of what fear really [00:08:00] induces. It's gonna be freeze or run. The next really critical discovery that Lindsay made was, she screened the brain of these animals that were scared, and she asked, in a very unbiased way, "What are the brain areas that are activated?" And she identified the region of the central brain, it's called the xiphoid nucleus, very few people have known about it, I teach neuroanatomy to medical students, I did that UCSD, I do that at Stanford and I didn't even know where this nucleus was. Sits right in the middle [00:08:30] of the brain, right in the center, and this nucleus is very interesting because it connects to areas of the forebrain involved in thinking and areas of the brain like the amygdala which are involved in threat detection. It also connects to reward centers in the brain, and I'll back to that. So heres this area that seems to be involved in the fear response and so then Lindsay went and used some genetic tricks, which allowed her to turn on and off or increase or decrease the activity of this structure while the animal was experiencing fear and [00:09:00] what she saw was really remarkable. What she saw was the mice that were once afraid of this overhead looming object by freezing, they told us they were afraid by freezing or running, suddenly would ignore it or would even confront it, maybe even try and rattle their tail, which for a mouse is an aggressive response. That's incredible in its own right because here, she had discovered a brain area that it's reasonable to assume at least plays [00:09:30] some important role in regulating the behavioral response to fear. What we call the level of threat or risk that the animal will tolerate. Because we can ask the mouse what it feels but it's not gonna tell us. But what we do know, what we can measure, is how much risk that animal will tolerate when you stimulate this brain area. And then the fourth element that was really interesting, fourth discovery in this, is she said, "Well what's going on? Is it something that has to, does the activation of this brain area have to coincide [00:10:00] with the delivery of this fear stimulus?" It turns out it doesn't, she could increase the activity of the structure, the xiphoid nucleus and then present animals with a scary situation and they would confront it. They would go from fear to courage if you will. And that told us something really essential, which is that so much of what we think about in terms of a response to fear or our level of risk tolerance, is really a state, it's a state throughout the body. It's a state that's throughout the brain. It's a systemic effect, [00:10:30] it's not just gonna be the activation of one brain area. Okay so that was all fine and good, we're excited and those data have been written up and have been submitted and will hopefully be wrapped up and published in early 2018, things are looking good for that and Malcolm would. But in parallel to all of that, we set up a laboratory where, and this was a postdoc by the name of [inaudible 00:10:55] who had come to us from Harvard and Caltech, really tremendously a talented [00:11:00] postdoc and she said, "All of this stuff that we're doing in mice," she had done similar work in mice during her graduate work, she said, "I want to build a box just like that but for humans." And so that's what we did. We took this arguably one of the most state of the art human performance or human behavior labs, to study fear in the world, it was about a million and a half bucks to build this laboratory where essentially you put a human in there, they put on VR goggles, I'll say why VR, and we've got motion tracking for the body, we're measuring [00:11:30] heart rate, breathing, sweating, we're also measuring pupillometry, how big the pupils are, which is a very fast autonomic readout of, or readout of autonomic activity or arousal. And so, we then took it upon ourselves to go out and collect 360 video of different fear inducing scenarios, attack dogs, heights, great white sharks, we can talk about great white sharks in some real world fears, some real world I wouldn't say terrifying, [00:12:00] but pretty scary stuff. Brought that back to the lab and then in VR, you can get about as close to the real world as possible in humans and their measure their fear responses, either through these noninvasive things like I just described, tools like just described. But we've also done experiments in collaboration with my friend Eddy Chang who's a neurosurgeon at UCSF where we actually had patients with electrodes embedded down through the skull into the human amygdala, while watching these 360 experiences of sharks and whatnot and can measure the neuro signals that [00:12:30] occur. So we now have this parallel platform of doing studies in the mouse and studies of the human. And this is where something really exciting comes up. First of all, we now believe that fight is separate response that's distinct from the, excuse me, fight is a distinct response from the freeze or flee response. That fight may not actually be on the fear axis, that fight or flight isn't necessarily the way it works. People always think if you get scared enough, you get backed into a corner, you're gonna fight. [00:13:00] That might be true, but there's another axis in which people select to confront scary things and the cool thing is, there's a study that was published in the 60s, two patients, they can stimulate any area of the brain that they want including a region that corresponds to the xiphoid nucleus in the mouse, this is the Centromedian nucleus of the thalamus in humans, for the aficionados or if you wanna go look it up. This is a paper from Heath 1963 published in science, and so these people can [00:13:30] stimulate anywhere they want, areas of the brain that stimulate sexual arousal, the feeling of that they're a little bit drunk, all these different brain areas they can stimulate and because they're humans, they can report what they feel. The number one brain area, now it's just two patients, but the number one area that these two people want to hit the lever on all the time so to speak and stimulate, is this area of the brain that corresponds to the same nucleus that Lindsay was studying in mice, to shift them from fear to courage or to higher levels of risk tolerance. And the [00:14:00] subjective feeling that they experience, is one of mild frustration and kind of effort. And I find that incredible, what it says is that there might be something innately rewarding about wanting to challenge fears, or challenge and confront things. And we've take it upon ourselves to think that fear is a bad thing, and stress is a bad thing and now there's some stuff coming out about stress maybe being positive depending on how you interpret the event that isn't our work but other work. And I find it so interesting [00:14:30] that as humans, os much of what drove our evolution was the willingness to confront fear and take on less reasonably healthy ways. And here, now again we're seeing these brain areas that people will work, they'll actually work in order to stimulate these brain areas, just like mice will. So I've gone long winded on this answer, but I guess what I'd like the listeners to take away is that fight or flight is probably a misnomer, that the fight axis is probably a distinct thing and that the fear [00:15:00] response has a lot more to do with a state in your body and brain than it does have to do with something fundamental about your neural architecture. It doesn't necessarily mean that you're a scaredy cat. It means that and what it points to is the idea that if we can control state, if we can manipulate state in a very dedicated way, that we stand a chance to really evolve our species through higher levels of healthy risk tolerance or higher levels of risk tolerance where payoffs might be advantageous. 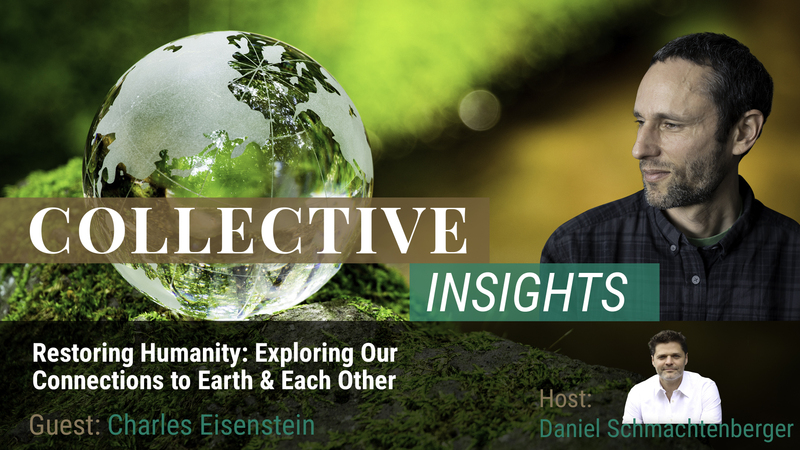 Daniel: [00:15:30] Okay so I think that this is one of the most meaningful areas of what it portends for human possibility, human development. So I want to go deeper into several aspects of the physiology. So first, when you said there's something inherently rewarding about confronting fear. So when you start to think of a hormesis effect, right? That when you have some stress on an adaptive system, that it increases the adaptive capacity of the system and if you don't stress an adaptive system, then it decreases its capacity, [00:16:00] cause there's no benefit in keeping it. We know that with exercise, and we know it with cold tolerance, like Limhoff work that you did. But also, when someone confronts stress that they can actually adapt to, increase their capacity to handle, they become a human with more capacity, if there's a stress that they can't increase their capacity to handle, then it just becomes strain and damages the system, right? So it's just like if you lifted an amount of weight that just rips muscles, that doesn't build muscle. So fear we can imagine has a similar thing, right? Which [00:16:30] is the ability to confront a level of fear that we actually can process as opposed to just become frozen and crippled with and in doing so, we're increasing our capacity and that maybe there is a development reward around capacity increasing? Daniel: So then the question I have has to do with maybe speculation on the chemistry of this. Cause you said not just the xiphoid nucleus but the entire physiology and state. So when we think of fear, [00:17:00] and we think of threat detection, we typically think of decreased heart rate variability, increase sympathetic response, decrease parasympathetic, and then chemically, we think of increased adrenal cortex hormones and an acceleration of the catecholamines converting from dopamine to norepinephrine faster. Right? Kind of roughly. Daniel: Then when we think of reward, we think of more dopamine and dopamine opioid dynamics. So [00:17:30] is there something maybe where instead of dopamine converting more quickly into norepinephrine and epinephrine, it's actually staying as dopamine and maybe interacting with opioids or endorphins, have you guys started to explore what the chemistry of this might be? Andrew Huberman: Yeah. So we haven't delved too deeply into the underlying chemistry. Right now, we've mainly been focused on trying to parse the neural circuitry. So really trying to identify these brain areas that are involved [00:18:00] in these, let's call it the behavioral response to fear. And the level of risk toleranc.e because it's very, actually one thing I'd like to move toward eventually, we don't have to do it in this conversation, of course, is that I think it's gonna be very hard to talk about emotions in any kind of objective way. It's hard to really know how one feels. I can guess that you feel okay but that's an evaluation. I don't really what happy is to you or happy is to me, it's very subjective, but we can in a very reasonable [00:18:30] way, start to think about measuring states in an objective way. So what you're bringing up is really interesting, arousal there are different kinds of arousal. 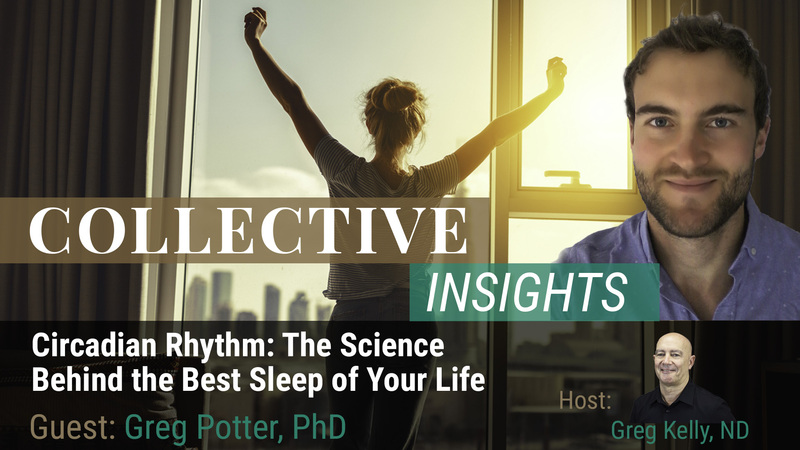 There's a stress response, there's sexual arousal, there's arousal that's excitement if you're looking forward to an event, a movie or a concert or time with particular people for instance, and of course you can blend all of those things too. But the interesting thing is that from a purely neural standpoint, it's very hard to imagine that the neural chemical [00:19:00] milieu that underlies arousal is going to be that much different for a scary event versus an event that you want to be there for. For this I'm gonna steal a little anecdote from my good friend and now business partner, Brian Mackenzie, who some of you might now, he's been in a number of Time Harris' books of this work on running and extreme performance. Brian and I are doing a lot of work on applied breath work now and applied use of the visual system in conjunction with breath work for controlling fear states. [00:19:30] But Brian tells it like this, so the classic example of the lion taking off in pursuit of its prey, lets say an antelope or some other grazing animal. From a physiological standpoint, there's adrenaline in their systems, glucose is being shuttled to the muscles, the pupils are dilated, it's all systems go, it's really on and both animals are really in this heightened state of arousal. [00:20:00] That you can say for sure. But there's only one difference, which is, the lion actually wants to be there and so for the lion, the loss or the failure to catch its prey means it can just go try again and for the antelope, the loss of that battle, it's over. Really you start to think about human behavior and you start to think a little bit about how the arousal response is generated and neuro chemically it's pretty generic. [00:20:30] Within as humans of course, you have this forebrain that's superimposes meaning on what just happened. So maybe we'll get into this a little bit later, but I've decided to put myself at various points in my life in some pretty high stress scenarios, certainly the most stressful scenarios that are available, but some pretty high stress, physically threatening scenarios like cage exit diving with white sharks and things like that, because I personally believe that if it's done with a certain amount of risk control and [00:21:00] you understand the contingencies and there's some skills involved, that there's great growth in those experiences, in the same way that mountain climbers feel that there's great growth in climbing mountains. I don't think they climb mountains just because they're there or why they climb cause they're there. I don't think so. I think that humans what to climb mountains because they want to take on challenges. Neuro chemically, I think we're gonna parse the difference, but it must be that the dopamine system is involved at some level. I believe that it must [00:21:30] be that the adrenal system is involved in some level just based on the readouts that we see on humans and in mice, this makes expansion of the pupils, which is what happens under heightened state of arousal. The opioid system is an interesting system, it's a harder one for us to parse, so I'm not trying to dance around an answer, we haven't looked at this deeply. We will get there. The real mechanistic work is gonna come in the fall when we set up experiments. Nowadays, it's straightforward thanks to the beautiful work of my colleague Karl Deisseroth at Stanford who developed channelrhodopsins, and Ed Boyden, [00:22:00] who was at Stanford now at MIT, light control over neurons, chemical control over neurons, and the specific neurons that the next set of experiments that Lindsay and the rest of the lab are going to do is to tickle just the neuron say in the opioid pathway that project out of reunions. Sorry, out of xiphoid, reunions is a neighboring place. It's very interesting that this area of the brain is also chockablock full of oxytocin receptors. And so I'll just take that as [00:22:30] an opportunity to say that I think that the more generic conversations about dopamine, norepinephrine, oxytocin and serotonin that become out there in the general public are gonna start to become more nuanced because of course all these neurotransmitters and neuro modulators are doing different things in different neural structures and it gets into a deep conversation on how the brain works and still much of what we don't understand about how the brain works. But we'll get there, but I find it interesting that arousal is associated with all these states, both positive [00:23:00] and negative. Daniel: Negative. So a really key thing in the lion gazelle example is the difference in the worst case scenario. So when you think about the amygdalus threat detection, the lion recognizes that the threat is that it might expend some energy, which can be dangerous. And the gazelle recognizes that it might die. And so they both have arousal but they have a very different sense of total worst case scenario threat projection so [00:23:30] I'm curious when you looked at the mice under these different cases or the humans under these different cases, rather than looking at the differences in the xiphoid, looking at the difference in the amygdala and saying, "Of course they're all gonna be recognizing threat." But do the current scenarios involve some difference in the amygdala where it's actually not processing the threat as being more than it has capacity to respond to, because it would seem like courage is, I have actually have the capacity to respond to this threat versus not. Andrew Huberman: I'm so glad you [00:24:00] asked this question cause it points to a really interesting result that we have in hand and that I forgot to mention earlier. The xiphoid nucleus, as I mentioned earlier, connects to the amygdala, which is a threat detection center. It connects to the nucleus accumbens, which is associated with dopaminergic related reward and it projects to the forebrain, areas of the brain involved in cognitive processing, the prefrontal cortex in particular. Lindsay did a [00:24:30] beautiful set of experiments in which she could tease out which of these pathways, when activated, could actually trigger the animal towards a reduced fear response and increased courage, and it was by increasing the activity of the xiphoid to forebrain pathway in particular. When she increased the activity of the xiphoid to amygdala in the reaction, she saw more fear or less courage. And so what you really got now is a structure that's sort of like an old school switch operator [00:25:00] on the telephones, some of your listeners won't know what that is, cause this is like something even before my childhood where people take out plugs and put them in. So it's like a switchboard, where basically the structure is integrating sensory information, not just visual information, but its sensory input and then making decision about, okay under these conditions where there's this certain amount of threat, what am I gonna do? What's the best outcome? Am I willing to take on some risk? And it turns out that the forebrain is making that assessment, and so this is what it's really about. It's not about going into [00:25:30] a heightened level of arousal to the point where you lose your cognition, it's about maintaining clear cognition under heightened state of arousal. Andrew Huberman: Yeah, so prefrontal cortex in mouse is not nearly as evolved and when I say evolved, I mean it doesn't have as much stuff there, even. There's stuff I human prefrontal cortex you're not gonna find in a mouse, you're not gonna find in a monkey. The massive expansive of the cerebral cortex in humans, which is why it has all the gyri and sulci, taken all that and crammed it into a small skull, whereas a mouse brain is smooth because it's less surface area for [00:26:30] skull space, essentially. So there's stuff there that you're just not even gonna find in a mouse. On the other hand, the mouse is doing some thinking in addition to just some reacting. And by thinking, what we mean is that the forebrain is required for assessing multisensory input, and making decisions about which motor commands to create, and which motor commands to suppress. The freeze response is actually a very, I mean it's innate, it doesn't require the cortex, we know that [00:27:00] based on our work and work in other laboratories. But it's a very active response, even though the animal is still. It's very hard to stay completely still for any creature, unless they're dead. And so, the forebrain of the mouse is clearly exerting what we call top down control over the behavioral response. It's very interesting to look at these animals when they confront the fear response and the nucleus is stimulated, they tail rattle, they'll pause as if they're gonna freeze, and then they keep going.and they'll also [00:27:30] start moving around quite a bit more, so they're making themselves very salient, very visible, very audible. The tail rattling actually makes noise, it's the worst thing you'd want to do if there was a predator, it's more like beating their chest than freezing or fleeing or anything else. So when we talk about prefrontal cortex in a mouse, we're talking about rudimentary kind of primitive prefrontal cortex, which is probably doing the simple math of contingencies, if a then be, and if be then c, the brain is doing math, [00:28:00] whether you like math or not, what neurons is doing is they're computing things in space and time and making assessments. They're not thinking, there's no little person in there, the collective is the person or the mouse, but the collective activity of those neurons. But clearly, the forebrain is exerting some top down control. There are good experiments for instance where if you take even just an owl, which is a very visual and auditory hunter as we know, and you lesion the forebrain input to some of these subcortical areas, that control motor reflexes, [00:28:30] they become like machines. If you go like this, the owl will look everywhere, think a kitten or a puppy, when my bulldog Costello was a puppy, I could put anything in front of him, and he'd pick it up with his mouth, anything. Anything was a toy. Now, it's like he's older, his forebrain has developed and for a long time now, he's just not as excited by these little things. This is what makes puppies and kittens cute is they walk along, they grab a chord, they roll over, they pee in the corner, they're kind of helpless in the fact that everything's [00:29:00] a stimulus. As the forebrain matures and mileanates, and top down control from the forebrain matures and maleates, animals become much more focused and dedicated in the actions that they'll take and that they won't take. Think a predator, a lion that waiting for the gazelle, there's a lot of active suppression, it's making an assessment, which ones are moving quickly, which ones are moving slowly. Am I gonna attack the flanks or am I gonna attack the head? These kinds of things. Those kind of assessments are clearly forebrain assessments. Daniel: So there's some kind of feedback loop that's interesting here, [00:29:30] and this shunting from the xiphoid to either more amygdala action or more frontal action, because to say that there is some top down control from frontal, only if the xiphoid already shunted that way? Or there is a little bit that's already happening, so there's some feedback process between the prefrontal and the xiphoid that then helps inform the xiphoid shunt more or not? Have you? The question is where [00:30:00] is the actual point of intervention, right? Andrew Huberman: Yeah it's a great question. The field of neuroscience has progressed so far to the point where we can now control the activity of neurons in real time in the whole animal and make these kinds of assessments, even in specific neuron types. Very few experiments including our laboratory, have assessed the dynamic interplay between different structures in real time. That really represents, I think, the next five years of work, not to defer but we're just [00:30:30] getting to the point where we can do that reasonably but I think you're right, I think there's gonna be activity streaming through the xiphoid to all three structures and then the overall state of the animal will probably dictate the extent to which the balance of the activity shifted towards frontal cortex suppressing amygdala, the battle of neural activation, if you will. It could bring up an anecdote but it brings up a scenario where if you've ever been in a panic situation or a very high stress situation, and you're not [00:31:00] trained to go into an automatic motor pattern, you start becoming erratic with your behavior, the fear or response takes over. I had this happen on one of our dives recently, I had an air failure, it was a technical failure, it was a really bad situation, white sharks everywhere outside the cage, I was in the cage at that point, safety tank not available to me at that moment for reasons we could discuss. Really [00:31:30] it was the worst situation except for not being able to get out of the cage. So the decision was air suddenly cut out, and my first thought was, "You gotta be kidding me, this isn't happening." It was kind of disbelief. Second thought, no joke, was I'm going home, I'm gonna see Costello. That was really the thought that when through my head, it was a cognitive decision. I don't want to die, I'm going home. Third, go to the safety tank. Tat I'd been trained to do. [00:32:00] Safety didn't open, got to eh second safety tank, safety didn't open or it was open but it was empty. So now, it's like so you immediately go into these automatic, these OODA loop kind of responses as the military refer to them. And then it was, "Okay I'm gonna drop my weight belt and shoot for the surface." Cause I wasn't on scuba, which is great for getting back to air, there's air at the surface, so I stay down, 100% certainty I'm gonna die from lack of oxygen. But you're surrounded by large [00:32:30] great whites, this is not a good situation, they love to eat things or go after things that are shooting for the surface. In fact the way that you cage exit and swim with great whites is by swimming toward them when they come at you and alongside them. You loom on them and they're not used to, they're the apex predator, so they're not usually comfortable with things looming on them, so they treat you with respect if you do that, if you act like prey, they will treat you like prey. But at that point, it was really, that was my only choice. I was fortunate enough that one of the out of cage divers turned around and saw me and made the what [00:33:00] felt like a very slow traverse back to the cage and then we did the classic share air thing, but even that, grabbing the regulator and breathing off his air and then passing it back and forth is something that if you're not trained to do in your dive training, a lot of people just hold onto it and the other guy ends up dying. There's a struggle, or they let go, you have to be calm enough. This was a situation, which I could sense my behavior starting to get a little erratic as each of the motor programs that I had been lined up or trained to perform [00:33:30] was giving me an F. No you're not gonna get air here, you're not gonna get air there. Your behavior starts getting little erratic. So I think what happens is there a number of things happening, your state is going up, carbon dioxide is increasing in the system and your behaviors starts getting a little bit more crazy if you will and this is why people who they can't even dial 911 under conditions of emergency or they get tangled up in some seaweed while diving, some kelp and their regulator gets kicked [00:34:00] out or something and they find them dead ten minutes later. It's not because they couldn't reach over and grab it, it's because you start yourself. It's one of the most exciting and interesting areas of neuroscience that's really evolving fast. This is some beautiful work that's being done by a guy named Steven Liberles out at Harvard looking at vagul stimulation and other people like our lab are looking at adrenal stimulation is finally after years of this mind body separation and people who talk about mind versus body, people are starting [00:34:30] to look at how the periphery, the vagus and the adrenals and stuff that's happening in the body is impacting neuro processing in the brain and vice versa. And you might say, "Duh, of course it's all one system." But when you and I were growing up, it was mind versus body, or it was brain versus mind. And I think it's wonderful that we've now discarded of that, it's like of course there's an organ in your head, it's all working together. Daniel: That was a good test experience that you had with the [00:35:00] sharks. Andrew Huberman: I have to say, I got to the surface, I was vomiting in to the water or coughing up a bit of water and I have to say, I don't recommend that experience to anybody. But I am immensely grateful and I knew that what happened over the next 24 hours was extremely important. My interpretation was very important, it's more about the top down control. I wouldn't have wished for that experience, but I had a good friend who joined us on the dive who incidentally also cage exited, [00:35:30] friend Pat Dawson, he came up to me afterwards and he said immediately, the first question he asked me, he has some experience with high stress scenarios and he pulled me aside and said, "So what did you take away from that experience?" That was the first question that I was asked. Not are you okay and I immediately, okay what did I take away? I took away check the safeties yourself, don't rely on, you know it turned out it was a human communication error really [00:36:00] that led to that situation. And I also felt tested. I'm actually grateful for the experience in retrospect because I felt tested, it felt like a little bit of a rebirth of sorts. And it was actually the next day that I cage exited for the first time. People say, even on the boat they were like, "Are you really gonna do that?" I'm a scientist, the probabilities are independent, the probability that it would happen the next day is totally independent. The next day I was on scuba so there are independent probabilities. Flipping a coin once, flipping it twice, independent probabilities. [00:36:30] And the second thing is, I knew what had happened and so when you have the benefit of knowing what went wrong, you're in a good position to make different choices and [inaudible 00:36:40] again. Daniel: When you're saying I'm a scientist, you're actually saying something very important. You're saying, "I have frontal override of the rest of the response because I actually have a rational process that the probabilities are independent, that the things that made it scary yesterday aren't gonna make it scary today because I've adjusted it. Therefore, I can control my fear response. Andrew Huberman: That's right, [00:37:00] and I have to say that much of my life and perhaps this is why I eventually decided to study fear, much of life has centered around putting myself into scenarios that for me, felt threatening. I always have tried to assume a reasonable sense of risk reward trade off. You don't want to be haphazard or crazy. I mean I look at Honald, right who climbed El Cap, no [00:37:30] ropes, no nothing, but he didn't just do it the first time with no ropes, he rehearsed it to the point where his confidence, he knew all the holds. I'm not a climber but I've spoke to some climbers and what they said that's so incredible about the fact that he did that wasn't just his fear suppression, it was that he remembered all the sequences that are required under different conditions, cause it can be different depending on weather conditions, rock conditions et cetera and those interact. So I think that being able to really reasonably assess risk under [00:38:00] high stress is important being adaptive is one of the things I pride myself on and of course I was out there with experts and we had permits from the Mexican government to do the cage exit, you're actually not allowed to do it without permits and this kind of thing. There's a lot of recklessness that goes on out there that I don't support. And at the same time, that's right I think my cognitive override process is a little extreme. I guess in the world of, you know sometimes go to the gym and you see those guys who [00:38:30] have huge upper bodies but no legs? I have strived to not be the guy who just thinks and doesn't feel. I don't want to be the neural parallel to that. Daniel: No but there's something important here. You weren't saying that you were gonna override fear for irrational reasons, you were actually making sure that you didn't misassociate what the source of warranted fear was, right? You were doing realistic assessment and most [00:39:00] of the time what happens is right it's our adaptive response, fear was obviously evolutionarily very useful to have us avoid things that could be harmful, and whenever we have pain we have fear around having that same source of pain the future to protect us from something that could be harmful but we usually actually get the causation wrong. We go up for public speaking and we have a painful experience and so then we say, "I'm never gonna public speak again cause public speaking was the cause of pain." As opposed [00:39:30] to identifying more carefully, being concerned what everyone thought of me and not being good enough was the source of pain and I can't actually change that and still be able to public speak. So one shrinks your world unnecessarily, the other one gives you the capacity to say, "Is there something that I can actually do in the presence of the stimuli." Andrew Huberman: Yeah it's a really excellent point you're making. I feel like one of the fundamental things and I've spent the couple years, cause I'm considering on writing a book on neuroscience [00:40:00] for the general public that brings in some of the more modern understanding about how neural circuits work. There's some great stuff out there but I think that we're getting a little lost still in this idea of lizard brain versus thinking brain these things work as a dynamic interplay, they're not working independently. I enjoy talking about neuroscience to the general public and one of the things that I really, I'm striving to understand or what are the tools that are out there for people to deal with trauma? What are the things that people to do with anxiety [00:40:30] as a way to make my laboratory science better and to bring better treatments to people, bring better tools. And one of the things that I heard and I find so true to in my own experience and from what you're saying, is that trauma is often a confusing about who's responsible or what's responsible. Andrew Huberman: Blame the shark, being an example, very unusual scenario for most people is to go see white shark rich [00:41:00] territories and go into them, et cetera. But the failure of oxygen the day before, the failure of the safety tanks, that doesn't change how dangerous a shark is, they are independent and so I think for trauma, so much of it is a, even if people can cognitively say, "Yeah you know that wasn't my fault, I know I had every right to be walking home at night at that time." People report this kind of thing right? I know that I really didn't do anything [00:41:30] wrong. They feel as if they did something wrong because they were involved and so the brain has somehow linked the captaincies and said, "I must be somehow involved in a way that I shouldn't have been." And I think that so that failure of who's to blame at an emotional level underlies a lot of what people report as trauma and otherwise it would just be, "Look I was wrong and so now I'm gonna take myself out of this scenario in which I was wronged and I'm safe." [00:42:00] But the brain doesn't do that and so we're confused, I think we think that post traumatic stress is all just a replay of some circuit because the experience was so intense. Look, people have been experiencing intensely scary and traumatic scenarios since the beginning of time and they've been able to dump those and keep going and have reasonably happy lives. And there's things like social support and of course sometimes these mechanisms go off and people need other forms of support, medical interventions and so forth but [00:42:30] really it's a failure to dump the idea that somehow oneself was to blame and I think that that's just by virtue of being there. And I think that that's something that in animals you see, there's like a conditioned place preference or a conditioned place avoidance. If you give a mouse something it like in a location it goes back to that location. Hell, my dog Costello does that. Hell, I do that. But if you experience something bad in a given environment, the tendency is not go back to that environment, [00:43:00] nature likes to cut a broad margin. Daniel: So I think this conversation brings up both why cognitive behavioral therapy is effective and the limits of it effectiveness at the same time. Cause there's different mechanisms happening, so we think about cognitive behavioral therapy, we think about exactly what you did when you said they're independent probabilities, one day and the next and I'm gonna check the tanks myself and the scuba means that I'm doing the shark risk not oxygen risk. That [00:43:30] was a straight CBT action that said, "Hey lets not make a fear that is not actually a warranted appropriate fear." And in cognitive behavioral therapy, we look at things like getting the causation wrong, so overgeneralizing is a classic one. We were kids, we trusted our parents, they hurt us, and so we imprinted everyone who you trust is going to hurt you, don't trust anybody and of course, that represented and equals to out if all people and when we were a kid and didn't know how to actually [00:44:00] assess for trustworthiness and defend ourselves and speak up and et cetera. So then we grow up and we say, "Well I've been avoiding trust my whole life because of this over generalization, maybe it's not true that all people we trust are gonna hurt us, maybe it's I didn't know how to assess trustworthiness yet and now I can." So there's some increased capacity. So the CBT part is get the causation right, so you aren't overgeneralizing and the fear response is if we're not clear, lets make a very wide, just don't go anywhere in that area. If you don't know where [00:44:30] the landmine is, just don't even go to that field. Andrew Huberman: That's right. My sister is deathly afraid of sharks, she made a very good point, she's not a scientist, she happens to be a therapist but she said, "Look, the probability if getting eaten by a great white shark if you stay out of the ocean is ... " And she's not someone who's typically quantitatively oriented but she nailed it. The challenge is that if you want to overcome a certain early wiring or even hard wiring, it's hard to know what scenarios to place yourself and to do that and I think one of [00:45:00] the really exciting tools are going to be the tools that allow to reopen plasticity, something that I hope we can get into during this podcast. I mean I think that how to dump previous experiences and take on new experiences is fundamentally interesting question. I will say one thing though before we, if we're gonna transition to something else at any point, one thing that I think is really important for people to understand, the thing about the brain and just their lives, is [00:45:30] the role of emotions. I think we fundamentally misunderstand what emotions are good for. Emotions evolved to move us towards certain things, kind of repetitive behaviors as they're called or away from other things, adversive or avoidant behaviors. But, and here I'm gonna borrow from my friend and very talented trauma release therapist, Ryan Swave who's out in Florida, he runs an addiction treatment center out in Florida, [00:46:00] which uses a lot of breath work but also more standard, he's a licensed psychotherapist, more traditional forms to treat addiction, mainly in the form of trying to reduce stress first and then deal with familial structure and things like that. And Ryan has this really impressive structure for how to think about emotions, which is under ... Emotions are sort of like weather. They come and they go and I think we've become [00:46:30] a culture that's so attached to the idea that feelings are so important, and they are, you don't want to be, we're not robots, you don't want to be a robot. But, purpose and destination and what you're trying to accomplish are probably more important than feelings when trying to navigate decisions, nodes of decision making. Because if you think about your shift and your head, you set your destination and a particular location and that's kind of like your purpose, [00:47:00] your destination. This can be in the work domain, it could be in the relationship domain, it could be in any domain really. Like for me, I knew I had a kind of rough teenage years for reasons related to my family structure even though I had a big family growing up and I decided at some point at 19, that's it. I'm gonna get serious about school and academics, I'm gonna turn myself into a professional of something that was positive for the world and I'm gonna have my PhD by the time I'm 30, I'm gonna be a faculty member by the time I'm 35 and tenure by the time in 40. Those were decisions I made like a ship would pick destinations [00:47:30] and there were plenty of days in which things were challenging and so what you want to do in trying to navigate any course is when emotions come up, they're like weather. Sometimes you tack down, use kind of nautical terms, you tack down the ship, you wait out the weather, sometimes you take a different course but you don't all of a sudden say, "I'm gonna steer for a completely different coast because the waves are choppy." Or, "It's looking really nice over there, let's just go over there instead." And so emotions are like weather and so you want to take advantage [00:48:00] of them when they're taking you toward your destination but you also want to think rationally about than when they're not. And I think that's something that very powerful in navigating any kind of series of nodes of decision in trying to complete a process, whatever short or long term process that is. Daniel: This connects well to something I was gonna say about your experience with the sharks is you said you felt tested and stress testing is actually a really meaningful thing to assess [00:48:30] how a person is going to respond in future stress scenarios to know how much you can actually trust them under stress scenarios. And so, specifically here, when emotions get intense, how much can someone continue to make choices based on their values as opposed to get hijacked by the emotion? And that's one of the deep questions is someone's ability to maintain some forebrain awareness in the presence of the emotion so it doesn't completely [00:49:00] run them, right? In which case they really lost abstract clear thinking, they lost their value system as a basis for decision making, and so one of the ways I think about it is you've got an emotional bell curve of states where most of time people are here and right after the pa sana or psychedelics, they might be like super lated and after trauma they might be super upset but the states can change instantly. You can hear some news and they change and the kind of [00:49:30] stage where someones at emotionally in their life overall is something like center of the gravity of that bell curve. But then we also have a separate bell curve of their behavior, which is the shittiest they ever behave and the best they ever behave and where they generally behave in terms of how aligned with their goals, how considerate, et cetera and one of the things I look at for trustworthiness is how much someone separates those two bell curves. So that their behavioral bell curve does not respond to the emotional bell curve, meaning that they can get emotionally triggered into a [00:50:00] poor state and still make good choice. Andrew Huberman: Yeah so that's a really useful model. I think with so many of our conversations, Daniel, you put things into, I think that's an extremely important model for people to understand. I need to think about that a little more also because I think ... Right, I mean when I select people to work in my laboratory, I'm looking for a passion for science cause I know what's required, science is hard and it's also beautiful and you get these incredible [00:50:30] experiences and I really believe that people are going to continue, will come to the lab and make fundamental discoveries, that they show up and work hard and are observant. I also, if I could, and of course I can't, but if I could, I would also want a developmental history on them and I'd want to know how have they reacted to stressful scenarios previously, which I think it captures a little bit of your model of the bell curves of sort of emotionality versus decision making. Daniel: I'm [00:51:00] gonna let you in on a secret here. If I'm hiring someone for a role where the trustworthiness matters a lot, right? Defect out of trustworthiness could be really consequential and every one should pay attention too that this should also be something that you assess for when dating. Because trustworthiness matters a lot and you want to assess it and of course early on, everyone just presents their most trustworthy self and that doesn't mean anything at all about who they actually are. So I want to stress test before actually going [00:51:30] into a place where there's any attachment or actual risk and so what that would look like is I want to go to a place where our logistics get fucked up, they miss their airplane, the uber comes late, the waitress spills something on them and I want to see, do they yell at the waitress? Do they lose their ethical standard and the question is really, the way I think about it is what does the floor that someone sets on the lowest behavior they're willing to accept of themselves. [00:52:00] Someone can say, "I'm just never going to hit my spouse when I'm upset, no matter how upset, I won't allow it." And they can raise it higher, and say, "I'm not gonna yell." They can raise it higher but you have to stress test it and see. Andrew Huberman: Right. Yeah its interesting. I think that so much of our society and so much of life is about setting up these boundaries for ourselves and for each other. For instance, I'm somebody that can be highly motivated by excitement and love and enthusiasm [00:52:30] and a whole set of songs that I listen to that immediately just take me to a place where I feel unstoppable and I am also somebody who can work pretty damn hard and through from the place of you're not gonna break me, kind of negative, a little more negative or gritty kind of mindset. I can switch back and forth. I think one is more stressful than the other perhaps, but both work and the outcome or what I care [00:53:00] about. But I know for myself, I have boundaries. I won't do anything unethical, lie cheat or steal in order to get where I need to go and what you're really trying to assess, to what extent people have clear boundaries, you can call them values, but really to what extent people are willing to break protocol with themselves break protocol with the group in order to achieve what they want to achieve. One thing [00:53:30] a good friend of mine said, "You love rules, Andrew." And it's interesting, I love rules. I was a pretty wild teenager but not because I was seeking fun, I was seeking structure and I do. I like rules. I feel like it's been said before and there's nothing profound about this, but it's like a playground with a bunch of kids kicking a ball around, but it's next to a road and so they can't really play that freely but then you put up a chain link fence and now you can really boot the ball as hard as you want, you can run as fast you want because there's [00:54:00] a boundary there that you know that you're safe. So it's really all comes down to safety. And the tough scenarios I've had to navigate and manage in people have generally been, have improved when I understood what they were really afraid of. Afraid of failure, or in some cases afraid of success or afraid of what was gonna happen to them or there was a backdrop in their life that was more complicated. I'm not a therapist, I run a laboratory so there are limits to what we discuss [00:54:30] but over and over again I think what you find is Maslow's hierarchy of needs. When people feel safe when they feel like there's some range on what out they can emotionally express themselves, when they feel like the group really supports them, and they're in the company of people that have common goals. I think people are willing to start tolerating more and more risk and in a healthy way in order to achieve goals. Now we're talking a little more abstractly but I think having a system for oneself is really important and [00:55:00] I think that public declarations are very important, even this thing about the public declaration of marriage, people get up and they make a public declaration, they're really saying, "Look, even thought I might ..." And if you just look at the traditional vows of american marriage, most of those are saying, "Even if I want to do blank, I'm not going to." They're never saying I'm not going to want to, it says even if I want to, I'm not going to. Nowadays people set different rules for their marriages than people did 50 years ago of course, there's a lot more [00:55:30] discussion and decision making, personalized decision making there, but I find it extremely interesting that we acknowledge in a lot of our basic ceremonies of culture that we want and what we're willing to do are two different things and we make those declarations publicly so that culture keeps us in line. We don't want to shame ourselves. One of the great things about being a scientist is that [00:56:00] it really is a pursuit of knowledge and truth and so I'm very lucky to be in a profession where sure there are some egos and things like that, I've definitely got one, I love to win, feels great to get papers accepted and grants funded and that kind of thing. But fundamentally, I want to understand how things works and so my powers of self delusion are not very strong unfortunately and so we've just got to do everything, short of sweat blood, in order to figure out how this incredible structure in our heads works [00:56:30] and everyone that comes to my lab is genuinely devoted to that. Daniel: Okay. 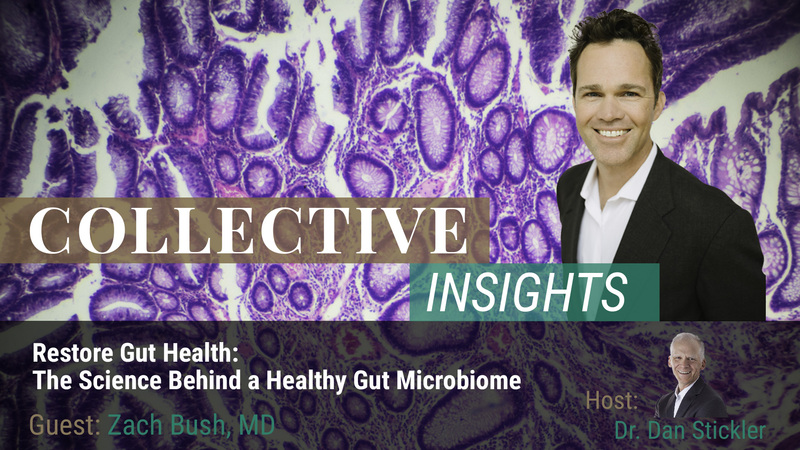 So we had to take a short tech break there and there's a lot that we actually wanted to cover and I think if you're open to it, we'll do a part two because framing up fear is then a basis to say, well how do we really work this and how do we work with increasing plasticity? Which is where a huge amount of your work is. And how [00:57:00] do we use breath? How do we use cognitive framing? How do we use vision? How do we use all kinds of things to help shift it. So we'll do another part on that. I'm actually pretty excited to hear about the app you guys are developing as well and some thoughts on the future of VR, psychotherapy and fear inoculation and all that fun stuff. But it's interesting cause we're talking about fear here and in general, you talk about having an orientation towards [00:57:30] increasing people's positive sense of life and motion and motivation. So talk about why is it actually important that one understands fear if they want to have a life that's positive and has increased capacity and motivation. Why is it not just a negative topic? Andrew Huberman: Yeah I mean I think it would be nice to live a life where we avoid fear and discomfort entirely but there's gonna be, [00:58:00] obviously stressors, they're gonna show up and some of those are gonna be fear induced stressors, whether it's a medical diagnosis that's scary or waiting for a medical diagnosis or something really acute, like a robbery or a break in or something of that sort where you have to really react or not react under pressure. I think that one of the things that's really valuable, people have talked about this much more than I will here about being able to third person oneself and [00:58:30] get out of the seeing oneself and the scenario in order to make better decisions. I think that's useful for certain professions and certain people. I think that what people, talking about capacity, I think that everyone could afford to have a slightly better capacity for stress tolerance, especially emotional stress tolerance because we rarely, not always, but we rarely are punished [00:59:00] for what we don't do. It's the thing that we wish we hadn't said or we wish we hadn't done that often gets us into trouble and a lot of time, that's because we're just in a level of high reactivity and I look at reactivity as a moment of problematic responsiveness, it's not being intentioned. Increasing our capacity is good, there are also some people that are just really unflappable, they're just really even, really stable. That's wonderful under some scenarios and yet you don't want to be [00:59:30] like the tin man, you want to have some emotion, you want an ability to feel into things but know that you're not gonna cross your own boundaries or other people's boundaries in a way that disrupts your short and long term life plan. So I think that the more that people can understand that these negative emotions like fear and stress and arousal kind of fit in a package of things that motivate the brain to take on certain sets of responses, [inaudible 00:59:57] as non-violent responses or violent [01:00:00] verbal responses. When you start to really separate those out, you start to identify where your own internal boundaries are, you start to feel more powerful as a human being in a positive sense because you know that you're in the driver's seat, you're moving further and further away from reactivity. When you experience fear or something that's dreadful or traumatizing as something that you're carrying around or that's kind of floating around over your shoulder, kind of a dark side you know yo have and that the world is a threatening place [01:00:30] but also that you have threatening place inside you, I think that's when you see people really becoming debilitated. They become almost afraid of themselves. They're afraid of what they'll do. It's like the public speaking example, the person who has a bad experience public speaking isn't necessarily afraid the next time they're gonna do it that people are gonna throw tomatoes at them or boo them out of the room or shame them into isolation, I think they're afraid of what they'll do. If you really probe people, you say, "Why are you afraid of public peaking?" They'll say, "I'm afraid I'm gonna urinate my pants in front of everybody. I'm afraid I'm gonna say the wrong [01:01:00] thing." And you say, "What do you mean what would that be?" and they say, "I'm afraid I'm gonna offend somebody." So they're actually not even concerned about their own wellbeing, they're concerned about somebody else's well being primarily. So when you really get honest about this stuff, you start to dissect it out, you start to learnt that people are really just want to have coherence with themselves and with their surroundings, and so knowing where those boundaries are, knowing there's a thick buffer between what you think you might want to do and what you'll actually do is very powerful and this is the essence of a to of martial arts and military training [01:01:30] and in therapy, you lean to listen and not to react and none of us want to be impulsive in that way. So I think that it kind of alludes to a bigger conversation I think we're gonna have in a part two, which is, how do you actually modify this incredible organ in your head, your brain so that it works in your favor? How do you discard previously hardwired or seemingly hardwired action patterns and thought patterns? And, how do you start to [01:02:00] create more automatic responses that really serve you and serve those around you better? And I think one of the really exciting areas of practical application of neuroscience is the kind of basis for Neurohacker collective in part, is to identify tools for plasticity, whether or not they're from acologic, whether or not they're neurotropic, whether or not they're behavioral. I'm very interested in the role of applied breath work and vision tools but also brin machine interface as a way to reshape contingencies or expectations of outcomes. [01:02:30] It would be wonderful if one didn't need to go place themselves in the dangerous scenarios in order to increase capacity. But I think that's really where the field is headed, not just in understanding how the brain works but how to work the brain and how to modify it and fear just represents one layer, entry point in that exploration. But it's the one that I think it's the one that creates the most suffering, and it's the one that if you can overcome even just a little bit, it builds on itself really quickly [01:03:00] and you can start to see nonlinear increases or synergistic increases in the amount of increases in wellbeing or what one is willing to take on. Tell you one thing, I'm somebody who I think has a healthy fear response but there's very little that is as scary to me as running out of air underwater, white sharks around that's not why I did it but I'm grateful for the experience because now when I'm in a stressful scenario, I think, "Well okay, it's [01:03:30] not as bad as that." And it forces me into a calmer state and I can smile and move forward. So there have to be analogous situations that one can put themselves in that are not dangerous in order to accomplish that kind of plasticity. Daniel: Okay so this is interesting. You said something that I don't think you actually meant in the beginning, which is that it'd be nice if we could go through life without any fear experiences. I don't think that would be nice at all, I don't wish for that world and David Pearson, [01:04:00] the hedonistic imperative brings up this. Can we just remove negative emotions and have a gradient of positive emotions be the basis of how we work in the future with genetic engineering? One of the things that strikes me in all of the ancient wisdom cultures was how much more clear and precise their distinction between comfort and happiness was than the way we ... I think there's actually something about after the scientific revolution we started understanding all [01:04:30] of reality as objective because we could measure objective things, we couldn't measure subjective things so objective became synonymous with real and we could measure comfort a lot better than we could measure happiness so we started making the world optimized for it so we have more comfortable beds than kings used to and transportation etc cetera with increased mental illness and actual subjective problems cause we didn't understand how to deal with that well. But one of the things that the wisdom traditions all did was intentionally induce [01:05:00] discomfort to have beings that realized that they didn't have to be the result of their environment and they could actually internalize their locus of control. When you think about going into the sweat lodge, the key to a good sweat lodge is it's hot enough that it triggers the fear response, I'm gonna die in here but you actually know that it's not that hot, that the shaman is sitting up at the top of it that's hotter than where you're at and people have done this forever and so you learn not to be controlled by the fear and in doing so you actually learn who you [01:05:30] are beyond reactive patterns and the vision question, the Sundance, even yoga asana, so much of them is just get in an uncomfortable position and then find your breath and find peace and then get in another uncomfortable position. And so I actually love the idea that VR could be a way to induce uncomfortable positions with no real risk of harm but being able to induce the discomfort so that we can learn to internalize [01:06:00] our locus of control because that is what sovereignty is, if we are the result of our environment so we avoid fear by avoiding environmental stimuli, then we have no sovereignty. Andrew Huberman: Right. No you're right, I just want to say I think it's an attractive idea at times, it's an alluring idea of a life without fear are pain but as a practice, as an experience, it would be terrible. I think that these days, and frankly my [01:06:30] entire life, I've tried to surround myself with people that were seeking to be the best possible version of themselves, there are times I didn't do that myself and there were times I didn't surround myself with those types of people but in general it feels really good to be around people that are trying to become the better version of themselves. I would assert that it's almost impossible, maybe impossible to become the best version of oneself without experiencing any discomfort or fear or stress. And I think that boils down to the hormesis idea, it boils down to the Hans Selye, who won the Nobel Prize for [01:07:00] general adaption syndrome, yes you have distress and you have youth stress, but that you become a stronger, better neural organism, you become a stronger, better, physical organism by placing yourself into reasonable scenarios or sometimes unreasonable scenarios in which you experience stress and have to work your way through it, survive it, compensate and show up better. So I think that purely positive emotions would be terrible, and I go back to this human study, [01:07:30] this Heath 1963 science paper. These patients, they were patients cause they had electrodes in the brain for other reasons but it was available to them to stimulate any brain area, including areas that stimulate pleasure, and they did stimulate those brain areas, but they[inaudible 01:07:49] preferred more than any other experience was their preferred experience was some low level frustration of effort and I think there's something fundamentally important [01:08:00] in that result. It needs to be repeated but I think that the human species evolved by challenging itself and frustrations and confusion, these days I think a lot about how confusion and frustration actually might be the neural circuits testing out different arrangements of firing patterns, makes sense. We need to test that, we need to evaluate that first in animal models then in human models to really get down to the mechanistic guts of it but it changes the way that I feel when I read something and I go, "I didn't even absorb [01:08:30] any of that, I'm gonna go back again." Maybe this is my brain trying to absorb things take some sleep, wake up the next day and boom you have the ideas. It's those small bits of pain and pushing yourself up against the boundaries, it's not unlike physical practices. So I think we're rapidly gaining understanding in this area, not just in the science domain but in the practical application of neuroscience tools like the areas that you work in. And I think it's exciting to see where all of this is gonna lead, [01:09:00] I have to say. That's what our species was designed to do, was evolve itself. Daniel: So I really love this 1963 paper that you're referencing because from an evo-devo perspective, the relationship between about evolution and development, natural selection selects for increased adaptive capacity, that can be evolutionarily from the point of view of natural selection but also developmentally, we can develop increased capacity and now we understand that you pass down the [01:09:30] epigenetics or you actually pass down there's a deeper relationship between evolutionary development and you can actually pass down some of the developmental dynamics. So that there would be a very deep pleasure response of some kind, a deep reward response around developing adaptive capacity given that's the whole thing that's selected for makes perfect sense. And most of the other creatures are tremendously more hardwired than we are and so to be creatures that have so much [01:10:00] developmental capacity and to see what a deep set of positive responses there are on actualizing that and why self actualization is at the top of the pyramid, it makes a lot of evolutionary biology sense. I think that's what our species was designed to do and I love to take a step back and think about this conversation and other conversations that are taking place in the world now around [01:11:30] the future of neuroscience and the future of humanity frankly and think and realize that we're at the front edge of our evolution. Some things may look very primitive and they are but we're really at the leading edge of our evolution now and what's so exciting is that with all these tools, with all the discussion and with some reasonable frameworks, we're really in the position to use our neural architecture to reshape our neural architecture, to create better neural architectures. Not just, [01:12:00] so some of that might be epigenetic, you can also imagine that the less stressed or higher capacity organism if you select a mate with a less stress, higher capacity organism, you have a child, that child's gonna grow up in an environment in which the parents have a certain understanding of trust and reliability about the world, they're gonna be neurochemical milieus and endocrine milieus in that family line that are gonna be very important. This sounds a little bit eugenic but that's not what I'm intending. When [01:12:30] kids feel safe, they behave very differently than when they don't feel safe, same with adults, and adults who don't feel safe feel the exact same things that children do. I think it was Freud, there are two quotes that sort of run I parallel that I always come back to. So Freud had this saying, "Anxiety makes children of us all." And I would add to that, except that as adults we use adult tools to respond to it. We don't just cry in our pillows some people [01:13:00] might do that, violence and they say horrible thing sand they get revenge and do all sorts of horrible things. So anxiety makes children of us all and I think it was, I don't know, maybe it was Vince Lombardi or maybe it was one of the great boxing trainers that said, "Fatigue makes cowards of us all." And those sort of go hand in hand, fatigue and anxiety. The point being that, the opposite is also true. That when you feel secure you're able to make different decisions about the kind [01:13:30] of creative and expansive life you want to live, you're able to give. And this is all sounding very feel good and kind of generic, but you can imagine what it's like to just a short window of your development existence in one regime versus another and then you can imagine what it's like to spend a short window of your adult system in one regime or another. And you say, "Wow the outcomes are distinctly different." So it's our responsibility, I think, as individuals to engage in what I'm calling self directive [01:14:00] adaptive plasticity. To be able to find tools, apply tools and force self directed adaptive plasticity that is better coping and better coping means that you can navigate your life better, you can treat yourself better, treat other people better. If there are enough people doing that, one of the great hosts of the Neurohacker collective and others as well, is if we can do that in sufficiently large numbers of people, we're gonna see [01:14:30] a massive evolution of our species. If we don't, things are gonna continue pretty much the way they've been going regardless of the technologies that we develop. Daniel: I like your self directive adaptive plasticity. I think Rick Hanson and Norman Doidge would really like that term if you haven't shred it with them yet. It reminds me, and we'll close, there's so many places we could go and I'm super excited for number two when we come and actually get into how to do self directed adaptive plasticity. It reminds me that [01:15:00] we made this paper and we never published it yet and I haven't shown it to you but it was a literature review on adult neural restructuring and so it was neurogenesis, neuropathology, synaptic genesis and synaptic cleaving to show that yes, it's nice to get childhood right but you're not screwed if you don't get childhood right, and that you can actually radically, through mini methods, increase neural restructuring of all kinds and so I'll send it to you cause I'd love to get your feedback on it, maybe before [01:15:30] we do this next one on the topic. Andrew Huberman: Yeah I'd love to take a read. I think that it's true, this amazing window of plasticity early in life but for better for worse, you are in the driver's seat for a long while and you become an adult and you start engaging the neural machinery that you built and it was built for you but you maintain this capacity, which is to engage in a self directed adaptive plasticity or you can just take what you got and [01:16:00] run the gears as they exist and so I think it's our responsibility as human beings, because our species is a conscious species, to constantly try and become a better version of ourselves, which is effectively saying or essentially saying to constantly try and update our neural architecture in a way that allows us to show up better in the world and better serve ourselves and humanity. And the non-human species [01:16:30] as well, I should add. Daniel: So Andrew thank you for taking the time and being here and sharing cutting edge research coming out of Stanford and other related places that both really kind of reifies a lot of perineal philosophy and wisdom as well as actually gives us new insights that are refined and so we didn't have before and it is leading to the development of new tools. I'm super excited for part two, which we'll do soon so everyone who is interested in this and is like, "Okay great, so I'm interested in the increased [01:17:00] frontal override of the fear process, how do I do that?" We'll get into that next time and thank you, Andrew. Look forward to it. Andrew Huberman: Thanks so much. It's been a real pleasure and I promise for part two the backdrop will be a little more attractive than my hotel room, it doesn't matter where I am but it's warm and cozy I have nothing to complain about. But thank you Daniel and thanks to the Neurohacker collective, you guys are doing terrific work, really appreciate your time. Daniel: [01:17:30] Thanks my friend.